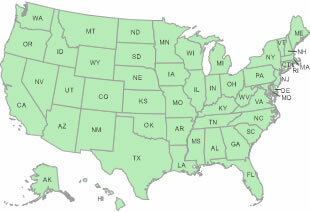 Click a state to see a list of rock shops in that state. If you own a rock shop that is not listed, please see the bottom of this page. Let Us Know About Your Rock Shop! A rock shop is a place you can visit to see some of the coolest rocks on our planet and buy a few nice ones to take home. A good rock shop will sell rocks, minerals, gems and fossils of various kinds; books about rocks; and, beautiful things made out of rocks. A good rock shop is staffed by enthusiastic people who know a lot about rocks and can answer questions about them. Some of the best rock shops go a step or two farther and sell the tools needed to collect rocks; the machines and supplies needed to cut and polish rocks; and will often provide a variety of services to rockhounds. If you have never visited a rock shop, check out the list below and visit one near you. Call in advance if you need something special. But, be warned, it is hard to go into a good rock shop and leave with without buying a few rocks. The listings above are limited to businesses that are real rock shops. What is that? A business that has close to a 100% focus on rocks. It is not a list of gift shops, tourist shops, or other types of stores that happen to sell a few rocks or crystals. It is for walk-in stores who keep regular hours and have more rocks and rock-related items in their inventory than anything else. It is for stores that have staff members who know a lot about rocks and can answer questions about them. We are very picky about the shops included in this list. Here are the requirements. Requirements for being included our list of “Rock Shops”. A walk-in store, open to the public, that maintains regular business hours. A working telephone number and an email address tended by enthusiastic humans! A website or Facebook page that shows that you have a business that is nearly 100% focused on rocks. Rough rocks of various kinds. Rock, mineral and fossil specimens of various kinds. Books about rocks, gems, fossils and minerals. Items for sale that are made from rocks. Tools for rock and mineral collectors. Machines and supplies for doing lapidary work. Display cases, stands and supplies for rock collectors. An extensive museum-type display of specimens. To add a rock shop to the list above please send an email to contact(at)RockTumbler.com with the URL of their website. We will check it out to see if the business meets our strict requirements. Being listed above will never cost you a penny. In 2012 we started a listing of fee mining sites and published it on RockTumbler.com and Geology.com, two of the websites that we operate.